Puff produces beautiful, large white flowers with a yellow center that cover most of its green foliage. It is an early growing aster with a compact habit. Puff is lovely in Fall containers and beds and blends very well with other Asters and Mums! Asters are an easy to grow perennial that grow well in average soils, but prefer moist well-drained soil in full sun. They will tolerate light shading. They grow approximately 20” in height. 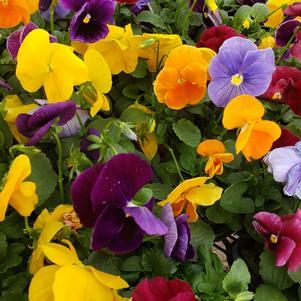 These lovely plants form broad bushy clumps, so they should be planted 18-24” apart. Mature clumps should be divided every 3-4 years in the early spring or late fall, once flowering has finished. 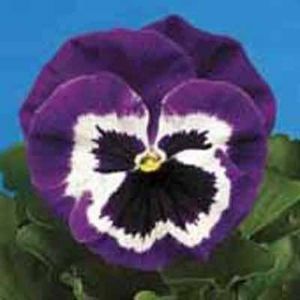 For great results, pinch back the top 6-8” at least once during the summer, prior to mid-July, to create a bushier plant and to prolong the fall bloom. A common problem with asters is that they oftentimes create a powdery mildew. To prevent this, plant your asters in a sunny spot with good air circulation. 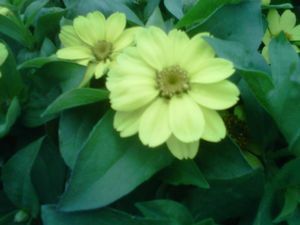 Ideal for fall landscape, and does great in containers. Top 10 border plants. Stunning when planted with ornamental grasses! Aster is a Greek word and refers to "star-like" flower. 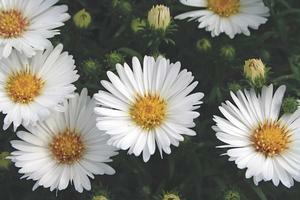 Because of their nice fragrance, there’s a chance bees will buzz-z-z-z around your Aster. So, please, bee-e-e-e careful! Asters are Perenniels, but if you want them back next season, their chances increase if planted in the ground rather than left in a container! 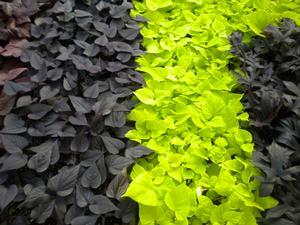 Mulch in Winter for extra protection from harsh weather!